This anthology contains eleven of my stories presented in their original English versions along with their Russian translations. All the stories but one appeared first in Analog Magazine while the one remaining came from Asimov's Magazine. All the translations appeared in the fine Russian magazine, ESLI. The interior illustrations are also from the ESLI versions. 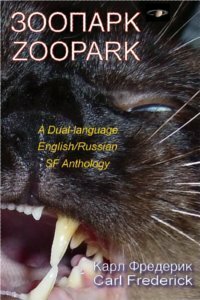 The anthology title, Zoopark, is Russian for Zoo and alludes to the first story, 'A Zoo in the Jungle'. 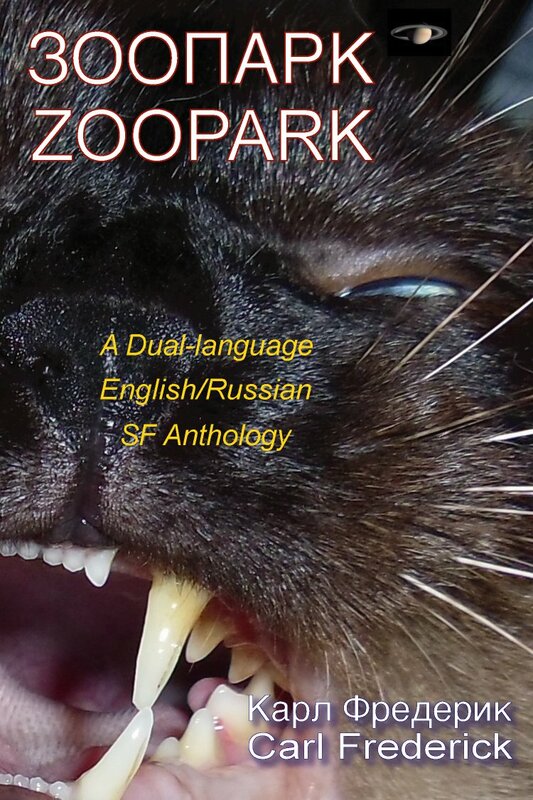 ZOOPARK came about when ESLI bought 'The Lycanthropic Principle', the final story in this collection. In mind of the bi-lingual books I'd used in the past to study languages, I thought to produce one myself. I emailed ESLI's Editor-in-Chief about the idea. Initially he was cool to it, saying he couldn't see that it would produce much in the way of revenue. I said I didn't much care about revenue but just wanted to create the book because I thought it was a nifty notion. And so he graciously granted me permission to use the ESLI translations and illustrations for this ebook. The stories that the ESLI editor selected are, I think, are among the most cerebral of my stories and one of them is my all time favorite short story (but I won't say which one). The success of my two tier pricing policy ($4 or Free) for my anthology 'SF++ Science Fiction Stories for Linux Geeks' has led me to employ it here as well. While I would be delighted were you to buy the book from Amazon, you may also get it at no cost by simply requesting a copy. Email for your free copy I'll e-mail the book to you within a few days. In the unlikely event that I'm flooded with requests, it might take a little longer. If after you read the anthology you find you've enjoyed most of the stories, you might consider (hint, hint) e-hoofing it to Amazon or B&N (with your rooted Nook) and buying one of my other other anthologies or novels.